Today people are mostly using internet for buy and selling the product in online as per the research 78% of people are validating the product by seeing the review of the product. So it is the one of the hottest business in the market. 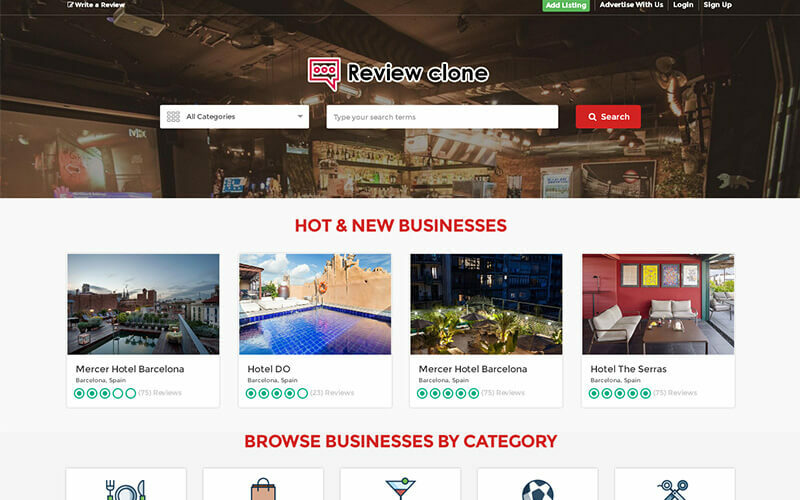 We developed high end user review management script with more than 50 advance feature customer reviews for sharing the reviews and writing the review and they can post their rating according to their requirement User can either post positive or negative reviews based on their experience. Once hey post the review the comments has been sent through mail to the respective company or in person. Consumer Reviews Script admin can manage the reviews and comments through admin panel. This Consumer Complaints Forum script has many revenue model especially for membership and the banner image ads and newsletter. Our Complaints and Reviews Scripts is SEO friendly URLs so you can place your website at the top of the page. You can get ROI without any struggle. The script developed by PHP and Ajax for high quality performance and loading time. Our product support unlimited category and product. So as per your need you can customize based on your requirement. So according to other reviews you can develop your business without any flaws. Actually I have no idea to buy consumer review script here. After seen the demo I just wounded and buy this script.